This last year was truly one of the best years I spent teaching. My first year and my fourth year are definitely my two most memorable so far. My first year’s special group were my ELD 2 kids. We became like family that year and each of those students still hold a special place in my heart. This year, my fifth period class and I formed a special relationship that I will never forget. They laughed at my jokes and they even made funny ones as well that made teaching so much fun. But most of all, I think we all learned so much from one another. They taught me as well. 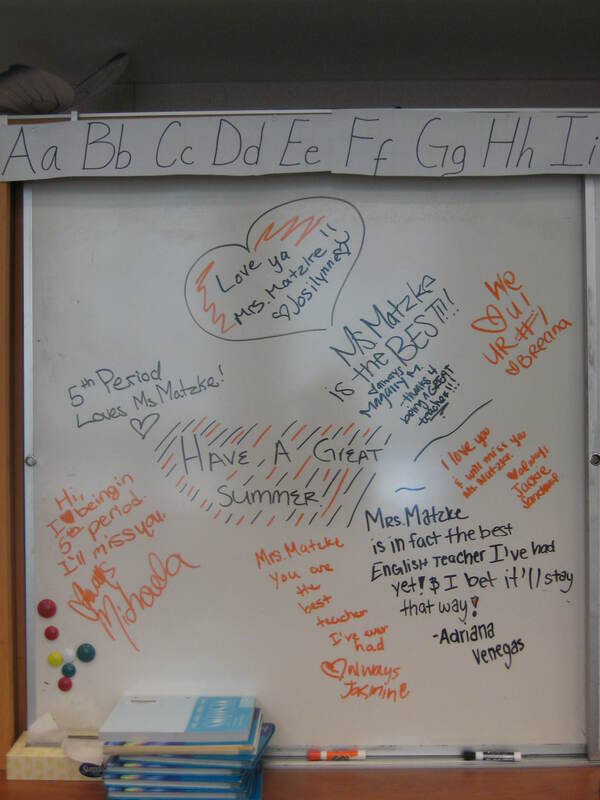 On the last day of school they wrote some goodbye messages on my board. I’ve included the picture I took of it. Oh yes, and if my student Demi ever finds this page….uhmmm, I’m still waiting for our class picture young lady! « Kanan, where is your choo-choo?